The concept of cloud computing is one of the most trending in networking industry today. Cloud computing is used in terms of outsourcing most essential part of an organizational IT infrastructure. So in a simplified definition cloud computing is a model for providing or purchasing off premises computing services over the internet. But in extended term, cloud computing is a service that you can purchase or set up on your own, of which you can if you want dynamically expand or contract computation or storage space on an as needed basis. There several components of cloud computing services. In cloud computing resources allocation is available through rapid elasticity and resources pooling. Automated services changes are covered through on demand self services. The abilities of cloud systems and footprint of the overall services is referred to as broad network access. The provider’s ability to control a customer’s use of resources through metering is referred to as measured services. There are several types of cloud service that are being associated with cloud computing. 1. Infrastructure as a service. This is an arrangement where, rather purchasing and running your data center, you rent those resources as an out-sources services. In this type of cloud computing you’re typically billed based on the amount of resource you consumed. Just like the electricity company bills payment method. A typical example of this service includes: Rack space cloud offering, here you will rent and install your own application in the virtual server. Other examples are, Amazons elastic compute cloud services and lastly the Amazon’s simple storage services. 2. Platform as a service. This service enables you to rent a fully configured system that is set for a specific purpose. This service includes a Rack space’s cloud site offering, in which you will get a virtual web server associated with your systems, like your database or even an Email server. Amazon’s relational database service enables you to rent such a fully configured MySQL and Oracle data base. 3. Software as a service. This service enables you as a service provider to make applications available over the internet. This ability eliminates the need to install any form of software on your computer or devices and can be very helpful for mobile. More likely the most popular of these services is the Google apps suit office application. Others might include ZOHO suit office application and Microsoft office web apps. Private is a type of cloud computing that can be operated by an individual for minimum organization of one and it’s being managed by an internal third party client and hosted either internally or externally. https://www.openstack.org is a good example technology to use in private cloud computing. This is a typical services opened for public uses. Here there might be little or no difference between the previous one that is private cloud computing in terms of architectural design, meanwhile since the services are made available for public audience, in a world of security threats, security consideration might be substantially different. Rack space is a good example of public cloud computing. This is an integration of multiple organizations with common interest into one cloud infrastructure. Community cloud computing can either be managed internally or externally by a third party client. Here the cost effective is spread among people in the community. When two or more types of cloud computing is emerged, even though they may remain distinct but bond together to offer the benefits of multiples deployment models, a hybrid cloud type is said to be the resultant. An example of this is the Google (Gov cloud). This service is limited to, and can be use by the governmental bodies across the country. 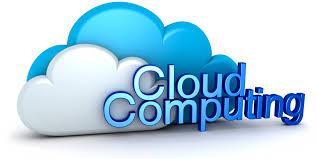 More to end users cloud computing seems to offer unlimited data storage, this is as a result of rapid elasticity. Users will also demand for more storage and the service provider offer them more seamlessly to the end user, using the dynamic system without the user contacting the service provider. This service enables user to request for an access cloud resources as they are needed. This type of cloud service is useful for project, based on users need. And then the service will be based on the member access to the services for the duration of project and then releases the cloud services back to the service provider at the end of the project. In this method the organization is only making payment on hosting only. The cost of system upgrades, new hardware and software may be included in your contract. You no longer need to pay wages for expert staff. Your energy consumption costs may be reduced. Cloud computing allows users to be more flexible in their work practices. For example, you have the ability to access data from home, on holiday, or via the commute to and from work (providing you have an internet connection). If you need access to your data while you are off-site, you can connect to your virtual office, quickly and easily. ← Install Xiaomi MIUI 9 Update Without Loosing Your Data. First of all I need to thank for sharing this blog. Your blog is really helpful.